The Legislative branch (The Senate and the House of Representatives) come up with the ideas and they get these ideas from the voters ( constituents) They propose laws to the next branch the Executive Branch (The President) in a written paper called a bill. The idea is not law yet a bill is an idea that can become a law. If the President decides to sign it. There are two house in the Legislative Branch. The House of Representatives and the Senate. Both groups are elected by the people. The House serves for two two years and the Senate senate serves 6 years. Then they have to be reelected. Each state gets two senators. The House of Representatives is dependent on population. A state gets as many representative based on how many people live in the state. For example New York has 29 representative while Hawaii has 1. The House deals with bills that involved spending and money. The Senate deals with bills that involved foreign affairs. Declaring war or making treaties with other countries. The Senate also confirms court appointees and the president’s cabinet members. What two houses make up the Legislative Branch? What is their main job? How do we pick members of the Legislative Branch? How long do senators serve (term)? How long do members of the House of Representatives serve? How many senators does each state get? How many representatives do each state get? Bonus question which part of the legislative branch confirms court and presidential appointees? 2. What two ingredients are needed for leaves to appear green? Welcome back. This begins a new year. I have a few questions I would like to you to answer here. Name one thing that you did this summer that you really liked. Tell me about it in detail. Tell me one thing about yourself? Write one or two sentences here to answer each of these questions. Make sure you use a capital letter to start the sentence and a period to end the sentence. Use the shift key to capitalize the letters. In a Monarchy the King or Queen rules. The only ideas represented are the ideas of the king. They have all the power. In our form of government a Representative Democracy we vote for our leaders and all voters ideas are represented. In a Monarchy all the power is concentrated in the in the hands of the King or Queen. They come up with the ideas. They make the laws. They enforce the laws and only they can change the laws. In the 3 Branches of government the power is shared between the three branches. The Legislative branch (The Senate and the House of Representatives) come up with the ideas and they get these ideas from the voters ( constituents) They propose laws to the next branch in a written paper called a bill. The idea is not law yet a bill is an idea that can become a law. 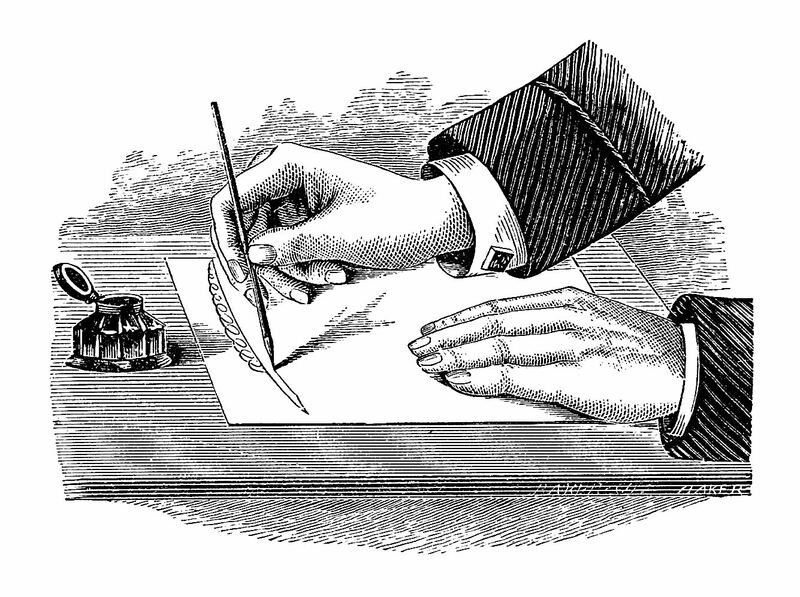 The Executive Branch which includes the President and Vice President can sign the bills and make them a law. 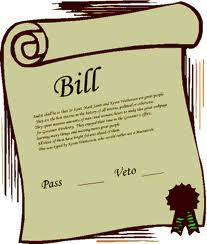 He can also veto the bills and that means the bill will not become a law. The Legislative branch can override the Veto if they have enough votes in the Congress. 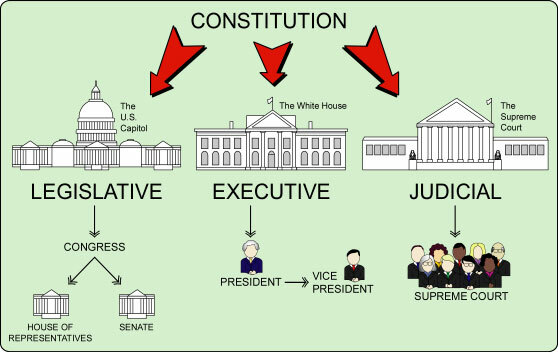 The 3rd branch of government is the Judicial Branch and includes federal courts and the Supreme Court, The highest court in the land. The Job of the Supreme court is to make sure that all laws and lower courts do not violate the rules of the Constitution. They can get rid of a law if it goes against the rules of the Constitution. Each branch has it’s own job. And all 3 branches check the power of the other 2 branches. 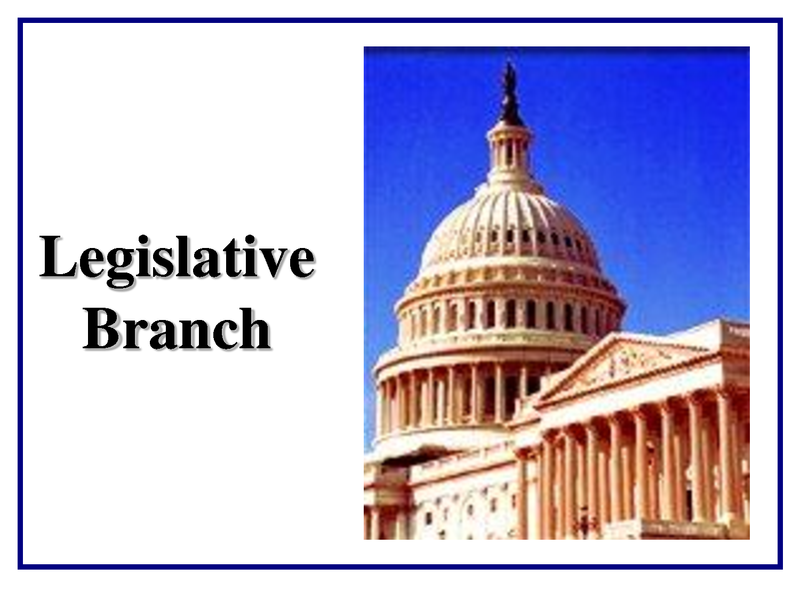 Here is a link to the Icivic game about the 3 branches of Government. What were some problems with them? The American Revolution: was fought because the members of the 13 colonies wanted to have representation in the government. Events like the Boston Massacre and the Boston Tea Party led to the first Shot Heard around the World and the American Revolution. 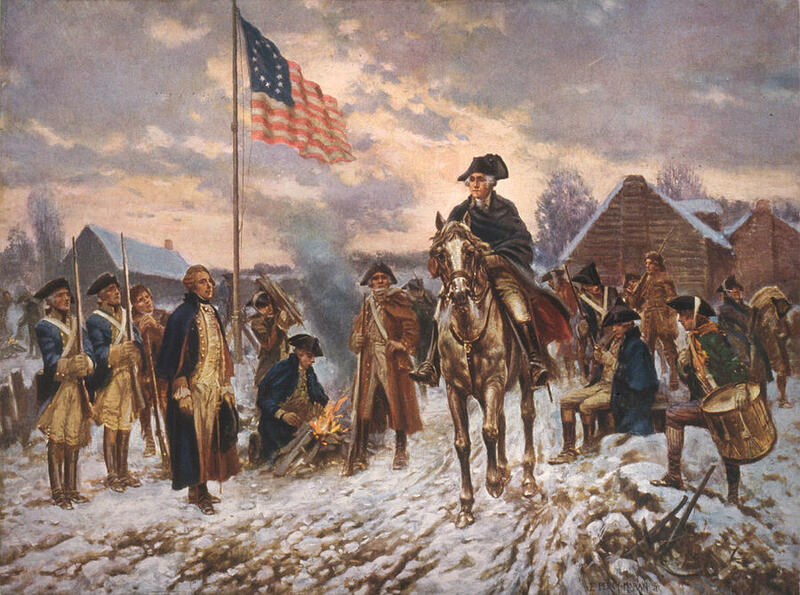 Eventually George Washington led the American colonies to victory over England. 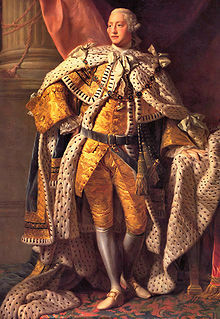 Well the colonist did not want a strong federal government at first that would act like a King, but they recognized that they would need some form of government So they came up with the idea that they would give individual States most of the rights in their first governing document called the Articles of Confederation. This left most of the laws and rule up to each individual state. 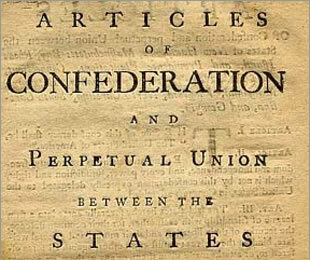 The Articles of Confederation gave the colonists more freedom to make decisions, have a voice in their government, and make friends with other nations. But there was a problem. The cooperation between the States was not strong or consistent. George Washington and several others felt they needed a stronger government that unified the states. You have to remember why the 13 colonies went to war against England because of taxes. *The Articles of Confederation gave the Federal government no power to ask each state for money to run things like an army or enforce laws, Laws could be made but not enforced. *Also there was no way or authority to resolve conflicts between states. The Federal government was in no way in charge of the country. The Preamble to the Constitution has no force in law; instead, it establishes the “Why” of the Constitution. Why is this document in existence? It reflects the desires of the Framersto improve on the government they currently had (to be “more perfect” than the Articles of Confederation), to ensure that that government would be just, and would protect its citizens from internal strife and from attack from the outside. It would be of benefit to the people, rather than to its detriment. And, perhaps as importantly, it intended to do the same for the future generations of Americans. A more extensive exploration of the Preamble is also available. Article 1 establishes the first of the three branches of the government, The Executive branch, The Legislative Branch,and the Judicial Branch. Tall flames rise behind firefighters on September 13, 2015, near San Andreas, California. A wildfire in Northern California destroyed more than 400 homes and businesses and caused one death over the weekend. Residents were forced to leave the area along roads where some buildings and vehicles were still in flames. A second blaze, less than 200 miles away, destroyed 135 homes as it spread through two counties in the state’s Sierra Nevada region. The main cause behind the fast-spreading fires is dry conditions caused by the California drought, which has entered its fourth year. Firefighters create a firebreak to protect near a home in Middletown, California, on Sunday, Sept. 13, 2015. “The bushes, the trees have absolutely no moisture in them, and the humidities are so low that we are seeing these ‘fire starts’ just erupt into conflagrations,” or large, disastrous fires, says Mark Ghilarducci, director of the Governor’s Office of Emergency Services. Ghilarducci said this summer’s fires are the most destructive he has seen in 30 years of emergency response work. On September 13, firefighters raced to control the 95-square-mile blaze as thousands of residents fled their homes. In the Lake County town of Middletown, California, wind gusts up to 30 miles per hour spurred flames that quickly engulfed homes and businesses. California Governor Jerry Brown called a state of emergency to free up resources on September 13. Meanwhile, the other 111-square-mile wildfire along the Sierra Nevada foothills had already received the same designation. Some firefighters worked on the ground to put out spot fires in the two regions while others fought the fire from helicopters flying above. “This is my home. Or it was,” said Justin Galvin, a firefighter who lost his own house. On Monday morning, the California Department of Forestry and Fire Protection said that the Lake County fire was 5% contained. A fire continues to burn in the remains of a Middletown, California, home Sunday, September 13, 2015. Unprecedented wildfires have sprung up this summer in the Pacific Northwest. California, Washington, Oregon, and Idaho are among the states most affected. While wildfires are not uncommon in these regions during summer months, record high temperatures have fed the flames. The largest of the California wildfires this summer is still burning. It began on July 31 after a lightning strike. It has charred 211 square miles and, as of September 13, it was 36 percent contained, according to the U.S. Forest Service. · Clear dead weeds and vegetation from your yard. · Remove leaves and needles from your home’s gutters. · Before starting a campfire in the wild, make sure you have a campfire permit and are allowed to be on the land you’re visiting. · After holding a legal campfire, make sure it is properly extinguished. 1 What is causing the fires in California? 2. Name two things that made the fires spread so fast? 3. What is a fire break? 4. What is a firestart, what causes this? 5. How long has the drought been going on in California? 6. What is a drought? The people of the United States are a strong group of people. Keep faith in who you are and what our country stands for and we will become even stronger than before. 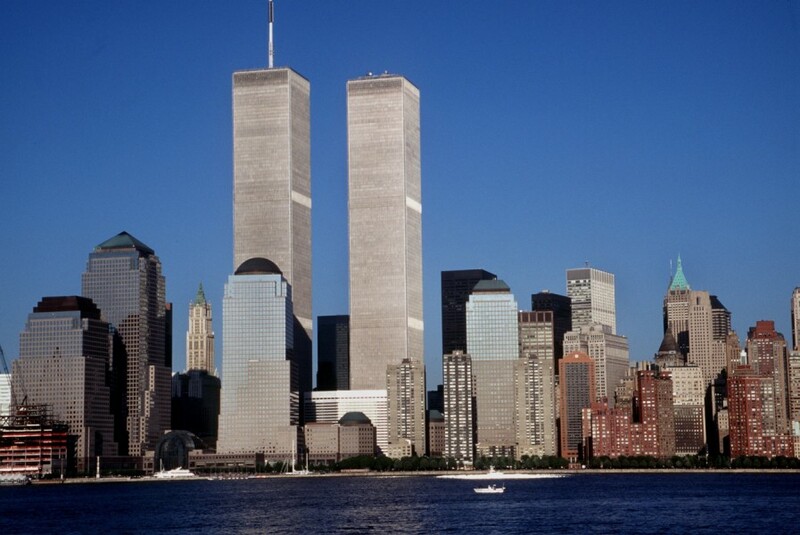 Please write 5 sentences about the attacks on this date. Tell me what you learned from the reading and the Brainpop movie.